The name of my blog post is inspired by the Christian In Action Trade Show I attended this past week. I won a beautiful bracelet that was picked from a raffle. 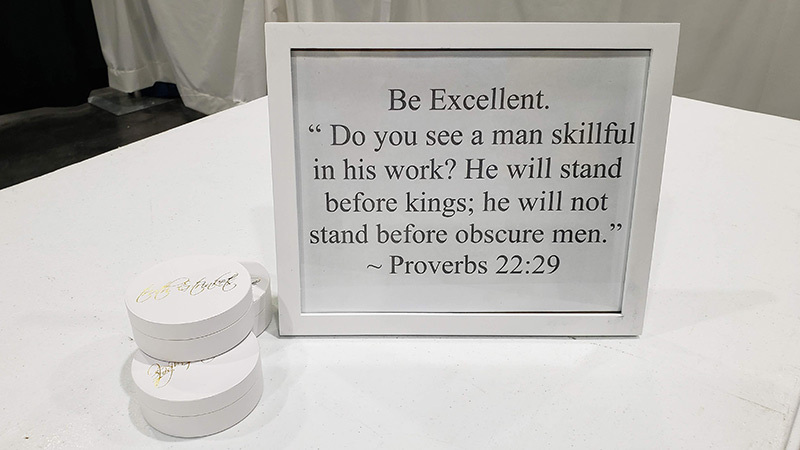 On the bracelet it said, “Be Excellent.” With the Scripture verse, Proverbs 22:29. What does it mean to be excellent? Providing superb quality or being remarkably good is what excellent means according to the Collins English Dictionary. In this case, I want to refer to be excellent as continual improvement in yourself. There are so many directions I can take this blog but I want to focus on what it means to continually improve one’s self. To becoming excellent. Take a moment to stop. Think about an area in your life you want to improve. Think about an area or an activity where you want to excel. How Can I Be Excellent? Taking the trash out when asked by your partner? Getting to work on time? Spending more time with your children? The ideas listed above may not have been obvious examples of excellence. However, there are always areas where we can improve. If you can think of other ideas for improvement and your personal commitment to excellence, please contact me and let me know. Let me use kings to mean significant people in your life and obscure to mean unknown people in your life. What I want you to get from this post, is that whenever we do things in excellence they cannot go unnoticed. It will matter to the people that matters the most. Excellence will always serve two purposes. It will serve as the giver and the receiver. In the giver it promotes a sense of well-being and in the receiver a sense of belonging. This fundamental principle impacts practically every scenario in a positive way. How Does One Attain Excellence? Is excellence difficult to achieve? Excellence is being interested in the small, precise specifics of a subject. I actually think excellence is the result of a forensic attention to detail. So, have you thought of an area in your life where you would like to achieve excellence? Let me walk you through some pointers to help you reach your desired goal. Self awareness helps us understand where need to improve ourselves. Reflect on your life and recall the times when you fell short of your best. In order to start moving in the right direction, I would like you to think of one positive change you can make. Challenge yourself today to make this change. Create a list of actionable commitments to get the ball rolling. To build motivation make sure you have a picture in your mind that depicts your future truth. Make sure you start believing in it. Form a mental picture of how happy you will be. You will impact yourself and others around you in miraculous ways. The sky’s the limit. Empowerment continues as you discipline that drive to be excellent. If you would like to be excellent in any or all areas of your life, YOU MUST TAKE ACTION! 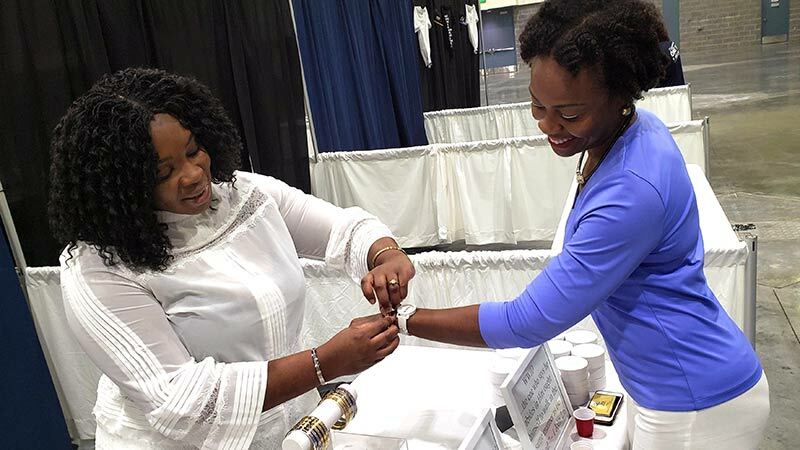 I met Victoria at the Christian In Action Trade Show, and I came face to face with excellence. Victoria takes Biblical truths and makes them wearable in the form of bracelets. You can visit her jewelry page at Truth and Trinkets. You may be blocked right now from taking action. Contact me for a series of therapeutic sessions where we together, will unlock your potential for excellence.